This is a discussion for the topic BIRTH OF A BUGGY CONTINUED on the board Members Buggies. The bureaucrats like to control all aspects and we'd not want a tank trundling into battle with seat backs at 26 degrees ! that will stop anyone getting IVA on a challenger tank then as the driver is lets say reclined. Dave I'd have thought irrespective of a Military vehicle supposedly requiring an IVA there will also be a get out clause for all Government Defense vehicles along the lines of the rules can be waived or ignored if the vehicles application require such to achieve its primary purpose. Two things.... 1). Military vehicles and IVA.... I would not kid you guys out there... Tried quickly to fined the page with "Tank" on it as I am going out shortly. " Of course it avoids me but I will locate it and let you know the page number. 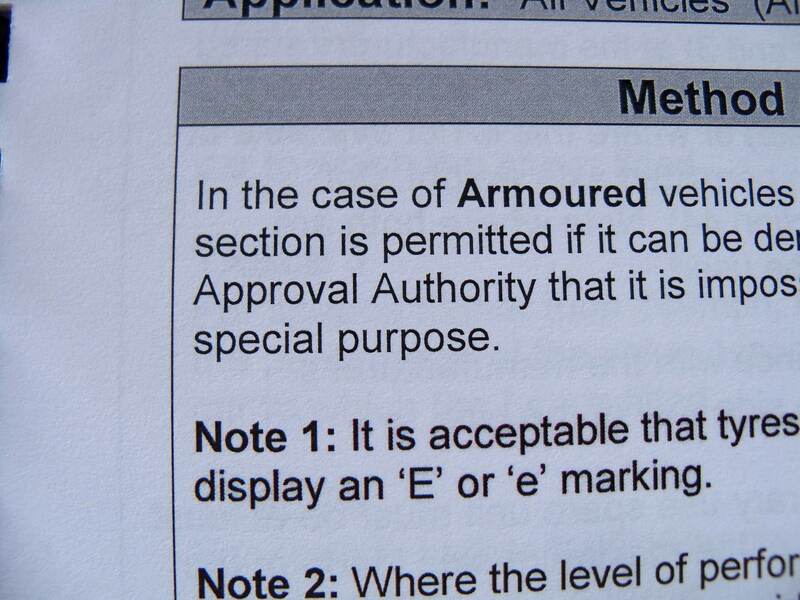 However will the words "Armoured Vehicles" do for the moment. IVA, for us, is M1 Basic... this is passenger vehicles but still refers to armoured vehicles as you can see from the photo. There are numerous other categories within IVA also. I appreciate my build thread appears to become haphazard in it`s flow part way through. I have tried to focus on each stage but there has been so much trial & error I couldn`t seem to avoid it. Time to try and pull things together so please bear with me. Time is passing by at an incredible rate and I now know I was simply delusional to believe that once retired I would have more time for myself..... Just doesn`t happen. How to write up the internal assembly in as few words as possible is the difficult thing to pull together as IVA involves mutual attention to all in regard to positioning, strength and ergonomics... each affecting the other. So before I start this please note that if you opt for harness rather than 3 or 4 point standard seat belts you will save yourself a lot of effort and heartache. Just remember that whatever you choose restraint wise has to be demonstrably "EU" accepted.... Usually the E mark will be present. (This saves documented proof being asked for). I think the place to start is attachment and "stress plates". A quick backtrack to seat mountings as I have had an individual point out that 8.8 grade bolts are ok according to the iva manual.. Yes this is correct but the wording is "8.8 grade or better". 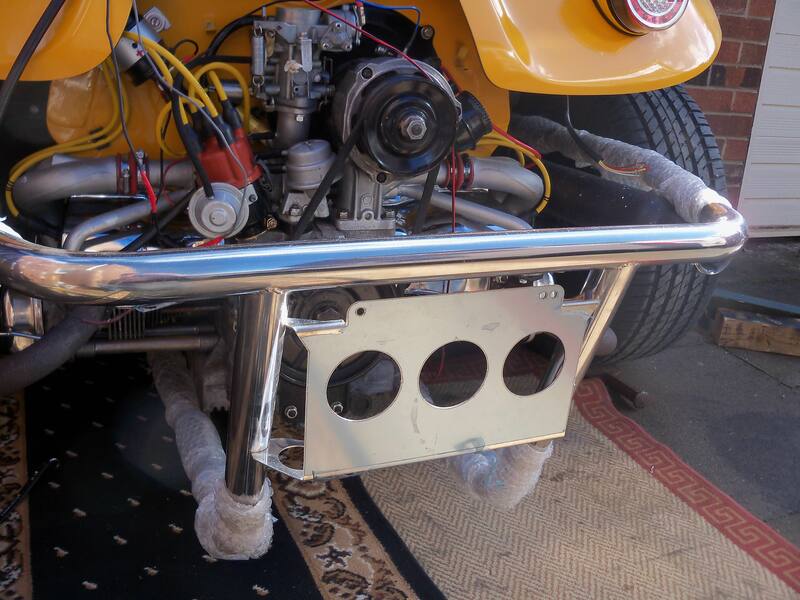 Your examiner is going to look at your buggy in intense detail. Every nut and bolt and other fixing one by one. Set the example in his\her mind that you have paid attention to the manual and have made all efforts to do the "best job you can".... So go for a higher grade bolt and get the appreciation from the word go. Dash\bonnet fitting and support. 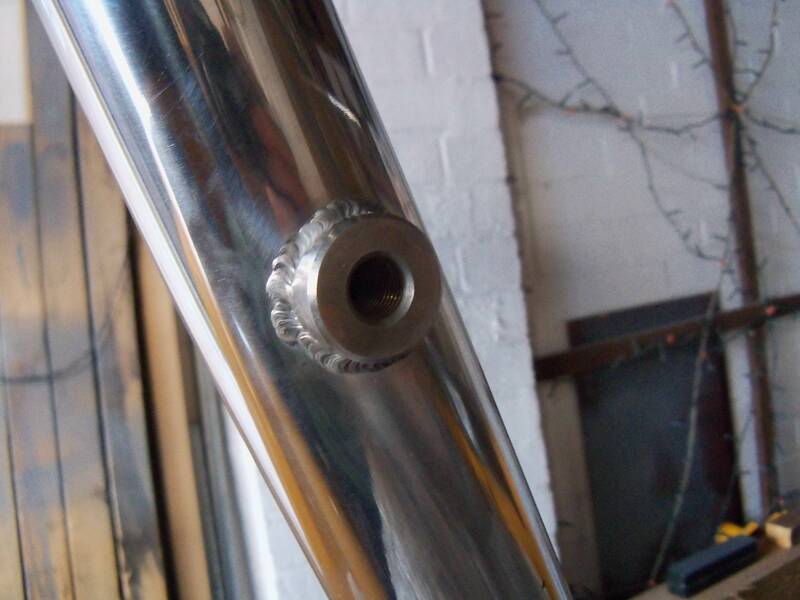 Dont` just drill a hole through the tub "firewall" and have the column tube hanging there. Use tube, square or round", to give the dash top along the windscreen length additional support. Utilise this to mount the column tube securely. The head of the bolts securing the movable section to the crossmember face forwards. 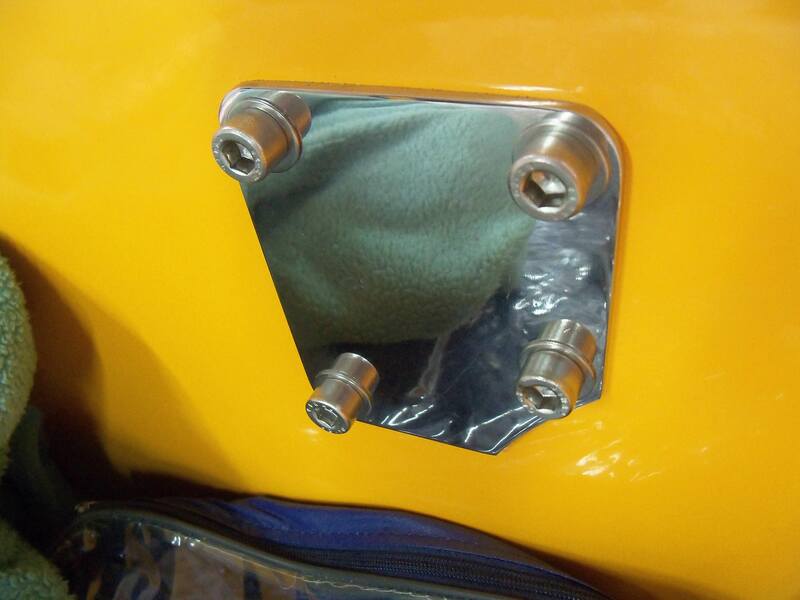 The bolts are screwed into captive welded nuts on the dash facia side of the crossmember. Bolts go in without any trouble but.... betty nora I have Lucas style windscreen wipers, Beetle ones won`t cut mustard, In goes the gearbox spindle bit for the nearside wiper. Fits the fibreglass section no problem despite the fixing hole being a massive 16mm diameter. OK one down one to go, nearly cried here. The Lucas style system is ancient but very effective and adaptable with regard to siting the motor but the gearbox\spindle assembly is long in length. (The Flatlands system is designed around the much small Beetle spindle assembly. Much narrower and very much less deep front to back. So there you once again laid on your back on the offside this time with a pedal or two stuck up your lughole trying to persuade the gearbox\spindle bit to go through the hole in the glassfibre bonnet at an extreme angle and of course it won`t and you cannot straighten it up that little bit you need cos the bolt head at the crossmember is right in the way. Isn`t hindsight wonderful...... Should I have tried to fit the wiper system when the bonnet was off ... may have been easier but this issue is there for me . Remove the bolt. Fit the spindle. Cannot get the bolt back in... I have the standard gearbox assembly. It`s overall length is just over 60mm. It isnt designed to come apart easily but you can however the shaft length is fixed. There is a longer version available separately but not shorter except for an oddity for a 50\60`s car. A standard replacement assembly is £25 and the short one is £45 so not doing that. Hoping the splined section on the spindle is an interference fit so that It can be pulled off reducing the dia that goes through the hole first thus allowing me to get the whole thing through. Let you know how I get on. Ergonomics...... Dashboard lower edge where the two front people will be sat. This edge must be rounded and better still padded in some way. Seats.... stress plates.... 4mm thick fitted to the underside of the the flloorpan areas. 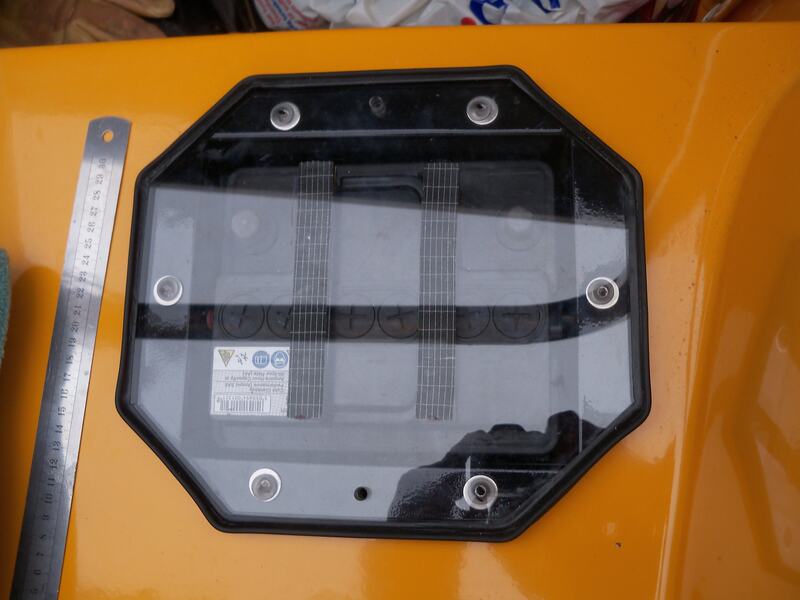 The upper side does not have to have a stress plate fitted but the area that the bolts go through will be examined and judged upon their strength. Stress plates in a generic form are indicated in the manual which gives minimum dimensions and indicates that they can have a bent length that buts up to structure if necessary. Bolt holes can be elongated as indicated in manual to allow for alignment. This indicate that stress plates do not need to be welded in place but check with your local tech first,. Roll Bar\Roll Cage.... This was caught up with in the manual revision of 2013 but is very vague. Mounting required at floorpan with underside stress plates, Hoop triangulation required so additional stress plates at tub area. (A reminder that glass fibre has good tensile strength but hates compression so do not over tighten the sandwich or you will get cracks and fractures which will fail the inspection. Seat Belts... Harness type, Secure at rear of tub through the horizotnal part of the "back seat" area. A sandwich comprising of stress plate\ fibreglass\stress plate. Single bolt style each seat not twin. Note all bolt heads etc will have to meat radii checks where applicable. (ie where cones can contact). (Dome type plastic caps are available specifically for this). Stress plates due to there thickness may need to comply with radii checks depending upon where they are placed. 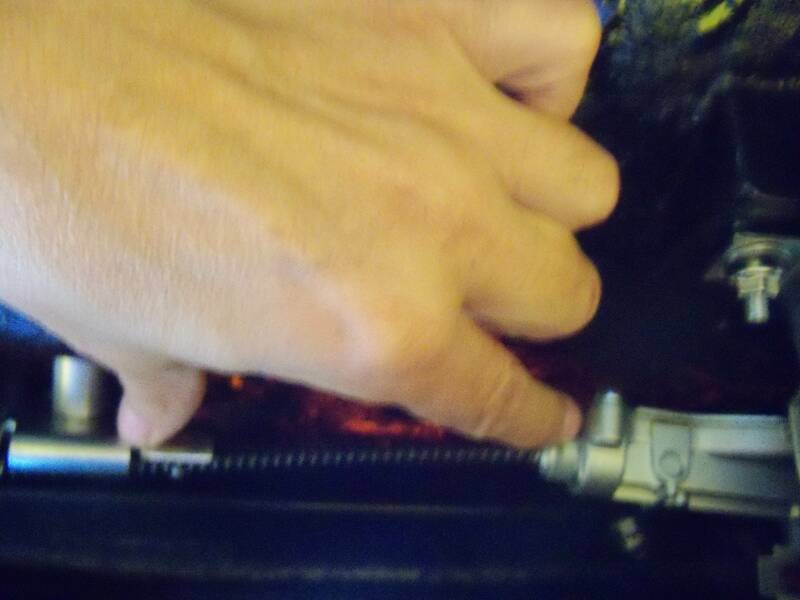 Revisions to the manual brought in radii checks to areas behind seats..
Photo showing seat belt attachment stub at roll hoop. The angle of hoop and height at which stub is located needs to take into account of belt strap lying across body muscle and not across joints. Photo showing stress plate for triangulated part of roll hoop. Tube not yet welded to plate. Note bolts are temporary... Stainless steel not compliant. Rear cage fitted in finalised position. 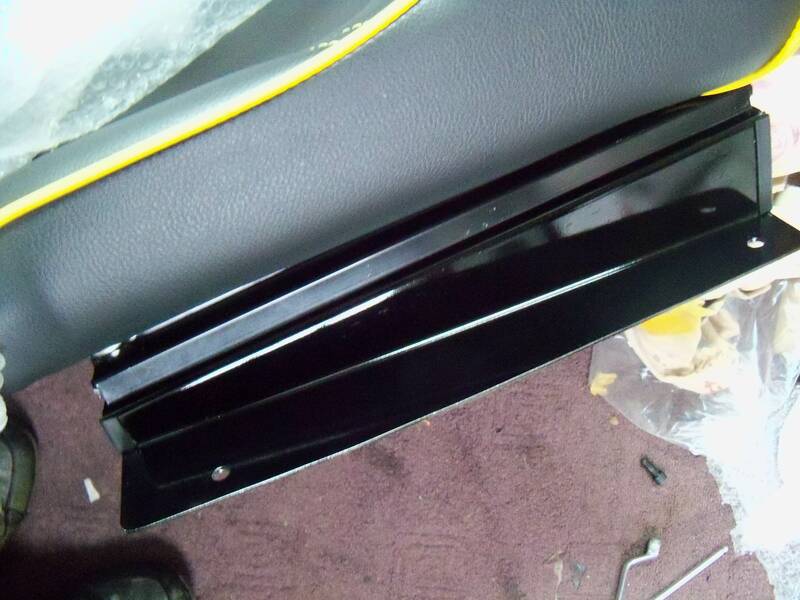 1st photo shows the rear number plate mount that needs to be of specific size. There are options... see manual... 1 for the square type number plate as found on rear of Beetles. The other for the long narrow type. 2nd photo is the best shot I could get showing the cage top mountings tied in with the side to side tub support and the shock absorber mount. The top of the shock absorber is not connected for clarity. (Photo is looking with the bump stop to the right). Just a quick word about the Lucas system. Wery old design, Very simple very effective. Having bought the motor, gear boxes bundy tubing etc I now know this is the same set up manufactured decades ago. 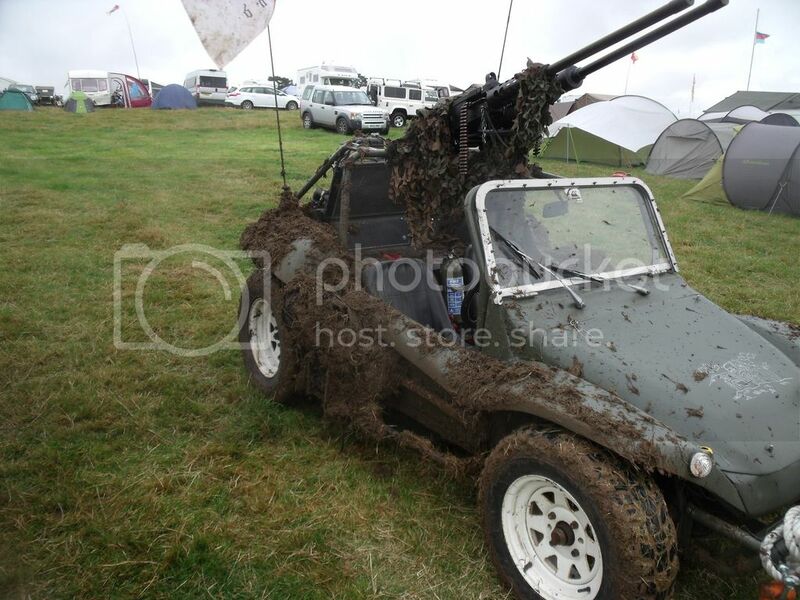 Have seen it fitted to mini`s, mgb`s and spitfires. Will go through installation bit by bit but apologies for the poor photo`s. Really hard in such a dark, confined, reflective space to keep out glare. Take care when considering wiring. For a light all you need is to divide the watts by the volts to give you the amps to determine the wire needed. (55watt headlamp bulb in 12volt system..55W\12V=4.58A). With motors care needed as a bit more is involved... "inductive current"... don`t fall over saying what the *** is this?). The Lucus motor is quoted at 14watts. This divided by volts gives you 1.16amps. However the iductive current is much higher. Lucus quotes 5amps so a higher wiring needed. (Now then... how may of you, just like me, have looked at a Haynes manual wiring diagram for a Beetle and just switched off.... no pun intended. Yes it`s like looking at an impossible maze. Old auto electrics is dead simple..honest... I will go into it in detail further down my timeline). 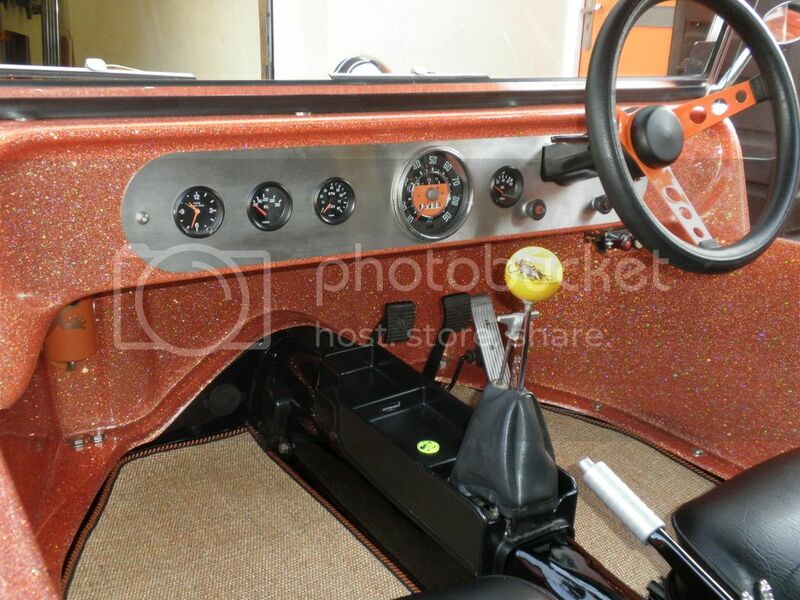 1st photo is behing the dash with me lying on my back looking up over on the nearside. 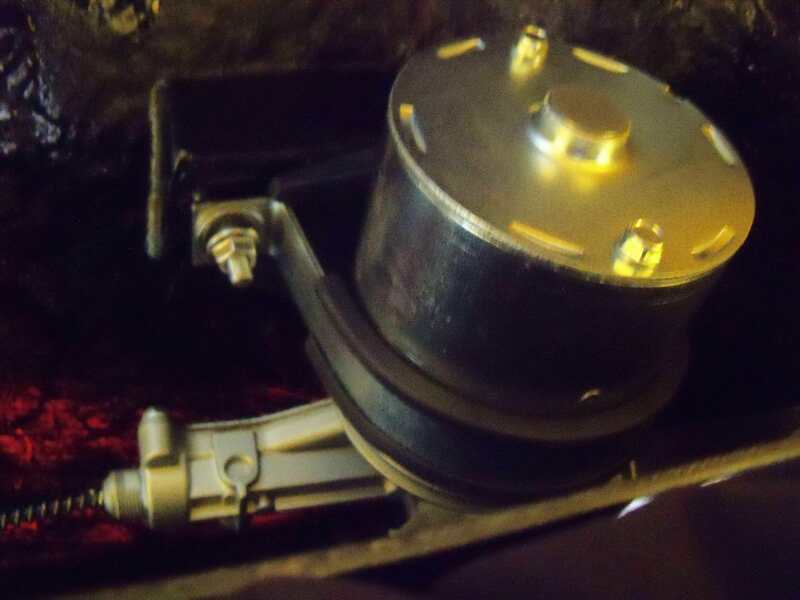 The photo is out of perspective as the motor fits just graet within the Manx dash area and doesn`t protrude at all. It is shown held in temporarily for the photo so note the motor clamps needs to be more central on the body. 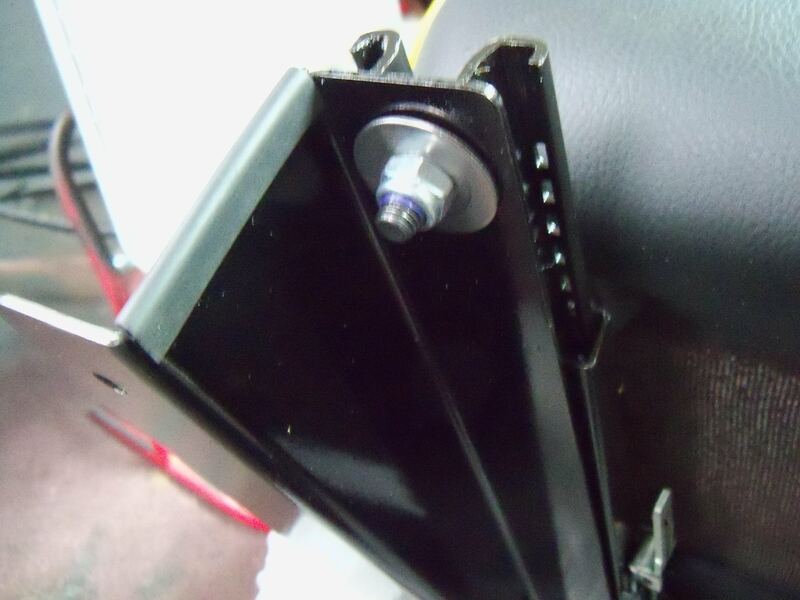 I have created a structure with two screwed studs for the clamp and bonded it to the underside of bonnet. All out of fibreglass and steel. It is bonded to the bonnet at the correct height and angle so that the spiral drive enters the gearbox in a straight line ensuring the bundy tube is straight. I have cut the bundy tube into the correct lengths and need to remove the motor to allow the spiral drive to be cut to the exact length needed. More detail coming. (Also for iva...nyloc nuts everywhere at final assembly). 2nd photo shows the 1st, nearside gearbox in palce, and my finger and thumb spans the section of the first length of bundy..ie motor to g`box. (Bundy tube needs flaring outover just like a single falre brake line end. This flare clamps in the gearbox clamping part and motor ferrule.. not 100% necessary but keeps it stable whilst the spiral drive oscillates within). Another photo.... The column support structure is a Flatlands one. Up and forward at the point where you see the bolt head on the dash support tube is the location of the offside wiper spindle hole. Having spent ages setting the column support, column, steering shaft to steering box alignment I found I had to release all bolts so that I could part the column support from the dash support tube to push the top bit of support towards the offside to allow the spindle gearbox to align up to go through the hole. It went in so thats all I was bothered about. Back out in the photo again now I know precisely how long the spiral drive needs to be. Shortening this bowden cable and it`s spiral needs doing with a 1mm cut off wheel very carefully. any jagged edges and it may snag in the bundy tubing. Final photo to follow.. It takes a lot of fiddly effort making sure that the edge radii compliance is met. Several differing radii checks and along with the manual statement "at least blunt the edge" on some aspects There are a few bits and pieces out there that can cheaply assist this process. Some of which is "radiused rubber U channel, Domed cpas that will go over the bolt head or nut, and "abs" pre-made covers. In essence, for through panel fixings within the check areas, the panel surface- steel or fibreglass is the datum point. Generally a washer of standard thickness does not need to be radiused any more than it is as supplied. Should a second washer be added on top of a first this has to comply. Then the bolt head or nut is subject to checks. Also for edges etc not within the check areas it makes good sense to carry on the same standard as this would definitely appear to help set the tone during the examination. (How important is it to ensure the radii compliance is checked and doubly checked every step of the way... well next post will indicate one of the number one reasons for iva failure.... wiper system. First one shows the angled seat support vertical edges covered with U channel. 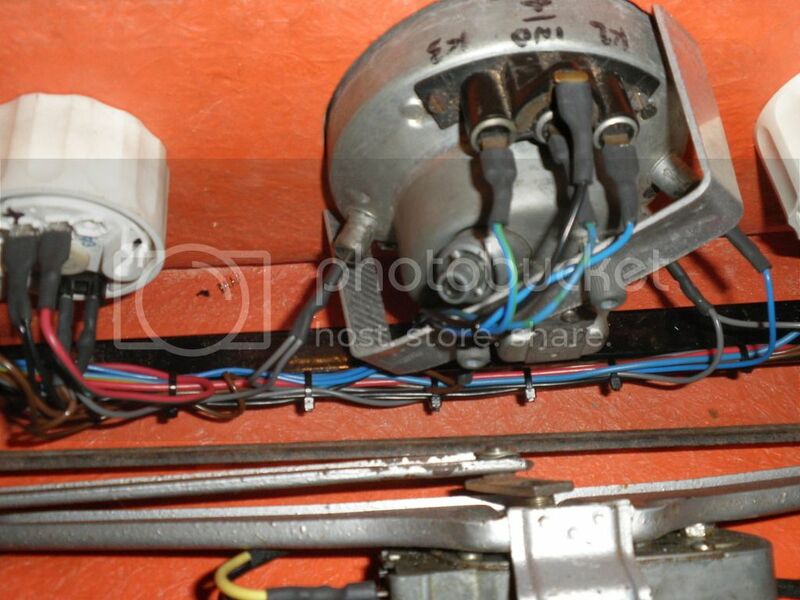 Second photo showing securing bolts.. 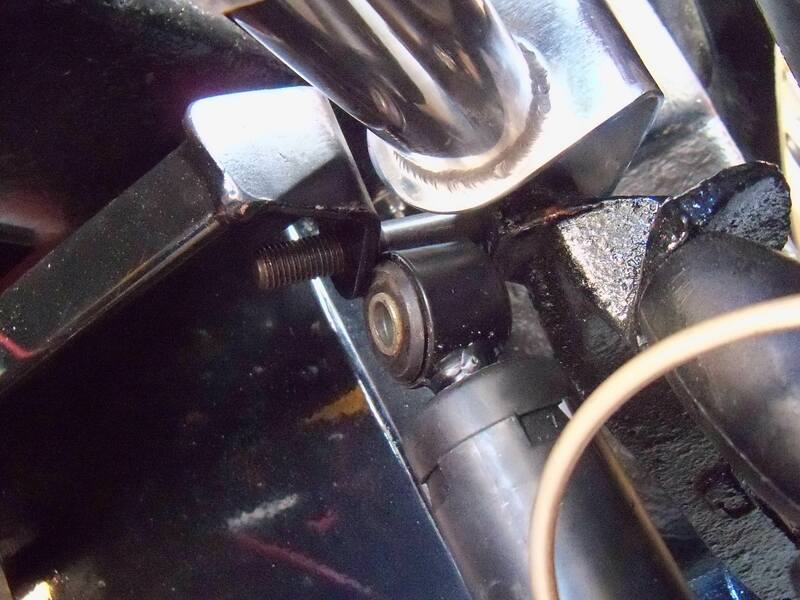 Here there is another thing to consider.... Where bolts are used in stuctural applications such as seats to mountings, mountings to floor, roll bar or cage mountings and seaat belt anchorages the bolt thread must be seen to extend through and past the nylon lock section of the nut. (Originally is cut the body to floor fixing bolts to a precise length where each one ended parallel to the end of the nyloc nut. Thinking at the time to have no ragged bolt end on the underside to snag things. Had to re-do this so that the thread extended through). Bolts themselves... there is an industry standard 12.9 bolt available at no real extra cost. Known as a "Din129 Unbrako. (Oddly, I thought, these are standard, not fine pitch). Cannot remember if the black coating is "parkerised" or something else. 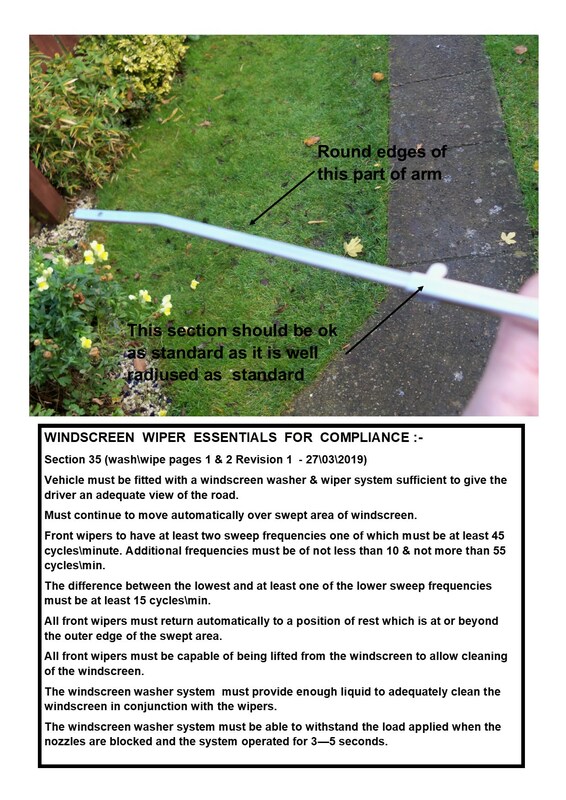 Check wiper arm is radius compliant. (In early days of research came across a guy who had failed iva on his wiper system. Told me his wipers were "too sharp"... was baffled for a few minutes until I realised he was not talking about the actual wiper blade). Photo below contains all relevant info re-compliance but in addition ensure washer jets are radius compliant. (I will go into detail later as to why the Beetle wiper system fails the checks and will include wiring details for Lucas system which is ancient but passes when installed correctly. 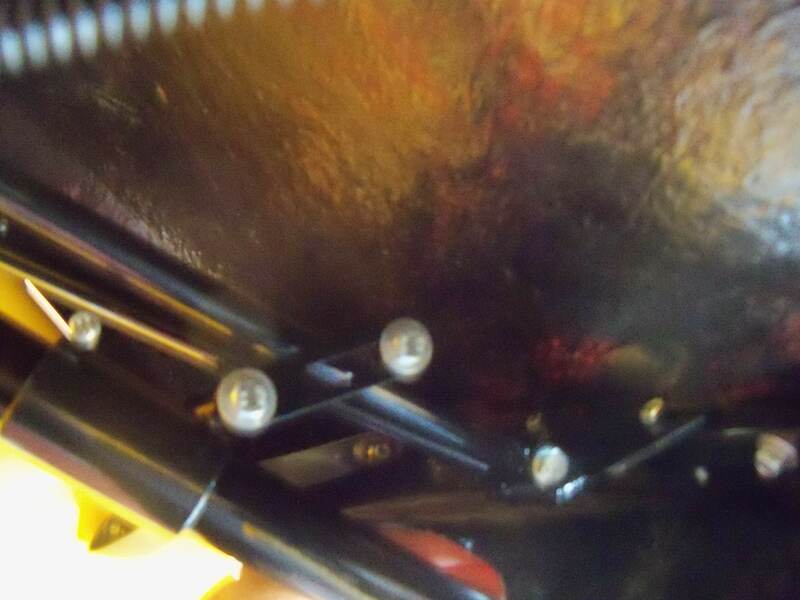 Photo showing a piece of clear plastic sheeting that I have had in my shed for donkies..... As the iva examiner can ask to have a cover removed to check battery is secure, and that the cables are protected from chafing where they pass through the battery box, thought a see thro cover would save this trouble. The cover is adapted so when fitted it secures the battery although to be honest it`s a secure fit in the box anyway. Was doing last trial fit of reconditioned speedo this morning and took the usual photo for the "iva build log". (This log getting well onto "war & piece" dimensions... all on purpose in the hope that by the time the examiner has gone through it there will be little left of the 5 hours for actual testing.. ). Note the bolt heads, ( Point A in photo),... This not compliant with radius check. Can be made compliant with "domed" nut covers. Point`s C & D I bought these switches a while ago as they are iva compliant.. That because the rectangular bit, (point C), is no higher than 2mm so not subject to radius check. Then, also, Point D .. Rounded edges to actual rocker of switch is rounded for compliance. (These switches are fairly cheap at around £9.50 each and have the required logo in correct colour and individual internal illumination. They came from cbs who now have "billet" compliant switches with black or polished ali` "bezels". They are suitable for iva if the spacer piece is omitted. This gives an almost flush fit and they do look nice... but cost £22.00 each). A word about the speedo in the photo..... The iva manual makes specific mention that "bike type speedos" are not acceptable. I am assuming this refers to the cable driven pedal bike speedo. (I am not familiar with pre-electronic motor bike speedos so it may mean this also). However to my mind over 21 million Beetles made clocking up mega mileages for their day gives a beetle speedo full pedigree so I am sticking with it until told it`s not acceptable. (Here the issue will be the accuracy I guess across the checked range). Also a point about modern electric speedo units, These, if fitted, must not allow the examiner to be able to push any buttons and alter reading from mph to kph or other reading. If such a button is present it must be fully disabled. An easy way to make them front mounted is to cut the two locating tabs off the speedo then replace the 2 screws that hold it together with threaded rod and secure it with a c shaped bracket as fitted on early VDO gauges (you have to make these out of a strip of ally etc.) then pull it tight to the dash with a couple of spin nuts. Also gets rid of the unsightly nuts and bolts through the dash. 1 big pain is you can’t fit the fuel gauge until it is fitted through the dash hole. I’ve noticed you have fitted a latter style VAG group speedo needle? I did this and modified the speedo with an LED to illuminate it which looked great but because of the weight and balance difference to the original I could not get it to read right no matter how much preload at rest I tried so I went back to stock and it now reads close to GPS speed. I would have preferred speedo fitted from the dash front but sadly the bezel of the beetle speedo is non iva compliant. Hence the behind the dash fitting in my case. I think, if I remember correctly, Chads Doon has dash designed to fit speedo "iva correct". (There are quality after market digital speedo`s and other gauges out there that give the buyer the option of specifying iva compliant bezels including a "beetle type copy") ( During the iva examination those who have digital set-ups that can be calibrated by laptop are given the opportunity to fine tune the calibration whilst the vehicle is on the rolling road). The speedo needle is original. A fine coat of red enamel paint has been added. This too will afect the needle balance. One of the tight examination spec`s relates to speedo accuracy. Was revised in 2013 update. Sadly gps speedo`s are not accepted as, in general, they under-read vehicle speed by approx` 4mph. I am no technician so I understand from vosa that the response delay of gps signalling is the cause of under-reading. 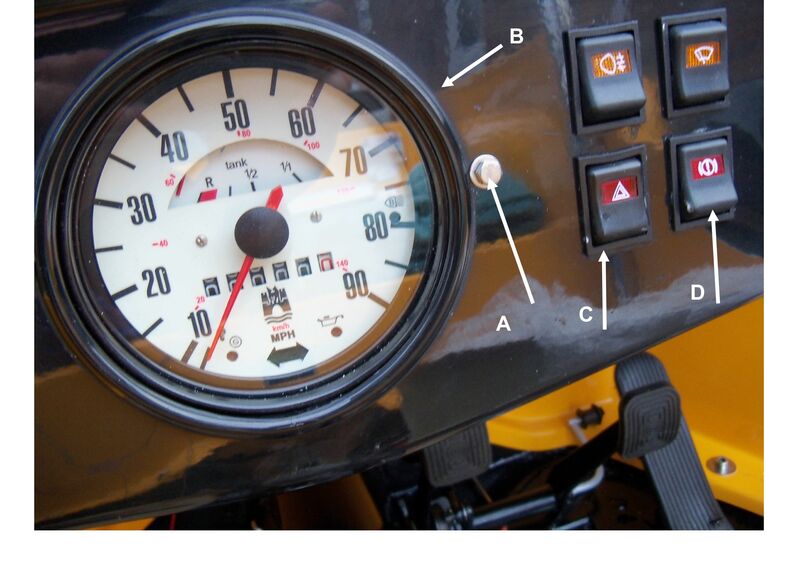 You are correct we designed the Doon dash so that both the speedo and standard switches were inset in the dash to help with IVA compliance, along with the rounded edge on the body, wide arches to cover wheels, battery box under the bonnet, inset wiper motor bolts etc.